My long-awaited review of Benefit’s new mascara is finally here! Whoever thought that after the highly coveted They’re Real that Benefit would bring out another mascara?! Truth is, this is completely different to They’re Real. Roller Lash has a brand new innovative brush. There are tiny hooks on the end of a flexible, slightly curved brush and that is what helps the longevity of the curl that this mascara makes. It actually took Benefit a few tries to get the Hook & Roll brush, it was actually the fourth design. The first wand they designed was a big stiff curved brush, which they then re-designed to be slimmer but with less of a curve. They then went back to a curved brush with tiny hooks, but there were too many and the hooks were in all the wrong places. That is how they came to the current Hook & Roll brush which catches, lifts and curls. The inspiration for the mascara actually came from hair curlers/rollers, as you can probably tell! I absolutely love the packaging of the mascara, it’s so retro and classic. The lid is definitely a good ‘replica’ of hair rollers from the 1950’s. It’s also a slim sleek black mascara, so fits perfectly into my make-up bag. My eyelashes are rather long anyway, so I didn’t see much of a difference when it came to a before and after. 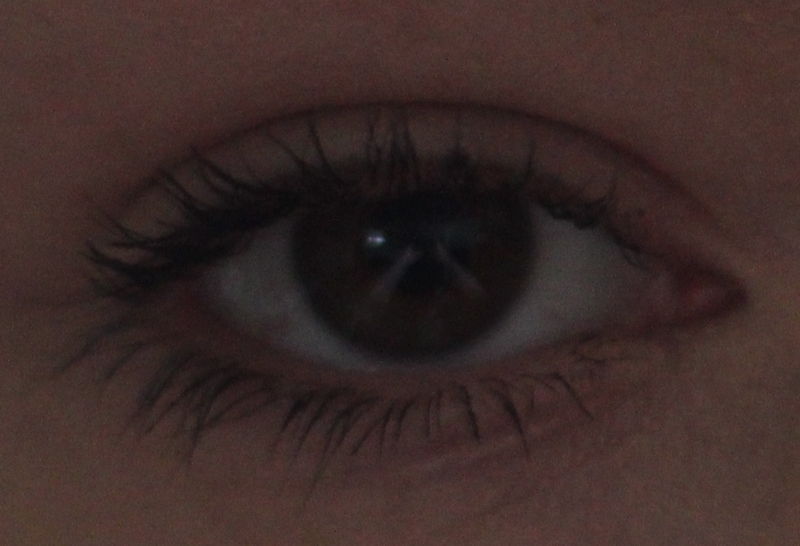 However, I did think it made my eyelashes look fluttery, girly and a nice deep black shade, which is always a winner. Roller Lash lasted really well considering I have oily lids, I found it only smudged after exercise (don’t worry, I was only wearing mascara!). It is really easy to remove with Bioderma, I didn’t have to tug on my eyes to get it off and my eyes weren’t sore afterwards. Even though I didn’t see a dramatic difference in my lash length and curl, I quite like this new mascara and think Benefit did a really good job creating it! What do you think of Roller Lash?